Want Beaumont, TX lost pet alerts? "Stella is my trucker buddy and I'm heartbroken that she is missing! " Small black female domestic short hair cat. 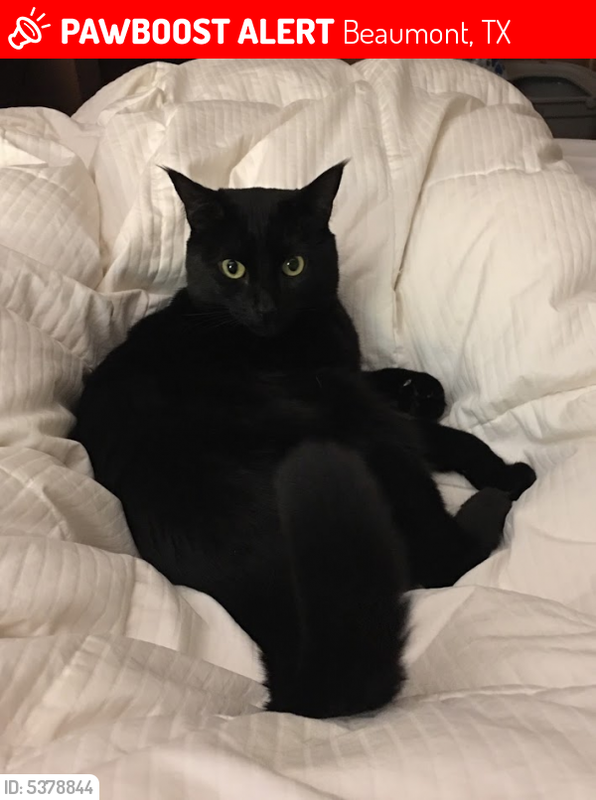 Stella has been found & reunited with her very HAPPY Cat Mama on 19MAR2019. All of your prayers are greatly appreciated. Thank you, again. God bless. Today, Patty put out flyers in the area we think she might be, laid down food & Catnip, (Kitty Crack). We are still praying that Jesus will lead her to my home or to a safe place & a good & honest person who is giving her care & will see the poster & bring her home. In Jesus' Name, AMEN! 1/27 - Stella is still missing. Please watch for her. 1/25 - We are still looking for Stella.